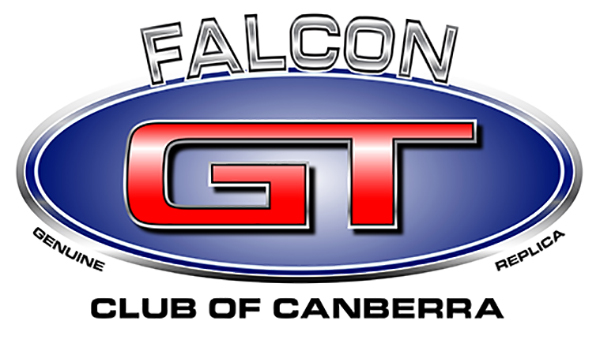 The Falcon GT Club of Canberra was established in March of 2008 by a small group of GT enthusiasts. Our club is about having fun with family, friends and of course our favourite cars, by attending social outings, club runs, car shows and events, at the same time enjoying the promotion and preservation of the legendary Falcon GT. The Falcon GT Club of Canberra was originally formed for Genuine and Replica GT Falcons from 1967 XR-GT to the 1976 XB-GT and the export Fairmont GT. These cars represent a very important part of our Australian motoring history, iconic muscle cars that are admired by everyone, even lovers of other cars. Full membership is also offered to owners of Replicas built of a high standard. The Club acknowledges that a considerable amount of effort and passion goes into building a Replica. As of 2016 we have restructured the Club to accept full membership for all GTs from 1967 to 2016 Genuine and Replica. In addition to that we have also added associate membership for non-GT Falcons from 1967 to 1978 e.g. Fairmont, Futura, Falcon 500, Cobra, Ltd, Fairlane and Landau. Associate members will automatically become full members after 2 years. All memberships are subject to approval by the committee. We offer Club Registration to vehicles that meet our membership criteria. For more info please contact the club registrar. If you think that this may be the Club for you, then contact us to come out to one of our runs or attend one of our monthly meetings. Meetings held every 2nd Thursday of each month from February to November 6.30pm at Power Kart Raceway – 125 Canberra Ave, Griffith. Falcon GT Club of Canberra Inc.